I love historical fiction, memoirs and coming-of-age stories. 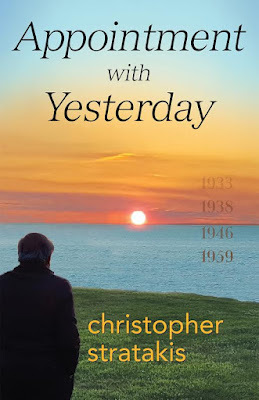 I was excited to have the opportunity to read and review Appointment with Yesterday, a new book from author Christopher Stratakis. What did I think of Appointment with Yesterday? Check out my review--and enter for a chance to win a prize in the book tour giveaway at the end of this post. ​Stratakis offers a glimpse to the past. While this book is not an actual memoir, the writing style of the author creates a memoir feel based upon pieces of his own past as he guides readers through the lives of his fictional characters. Readers will find the book very realistic and filled with the emotional stories of life and growth--and change. Readers will be drawn to the characters and will enjoy watching their lives unfold on the pages of the book. The author builds the story perfectly and keeps readers engaged from the very first page through the end. Stratakis incorporates a blend of styles in this book. Through his settings and descriptions, the author takes readers along, throughout time and across continents, with his main character. Readers will connect with the past and the emotions and struggles of the characters--through both a moving storyline and a diary-like, memoir feel. Would I recommend Appointment with Yesterday? I adore memoirs and I love historical fiction. I think the author's writing creates a wonderfully depicted coming of age story while keeping a light, soothing storytelling format. I loved the flow of this book. I really felt that the character was sharing his personal life story with readers. I particularly enjoy realistic fiction--and this book felt very real and very true. I would highly recommend this book to fans of both memoirs and historical fiction. 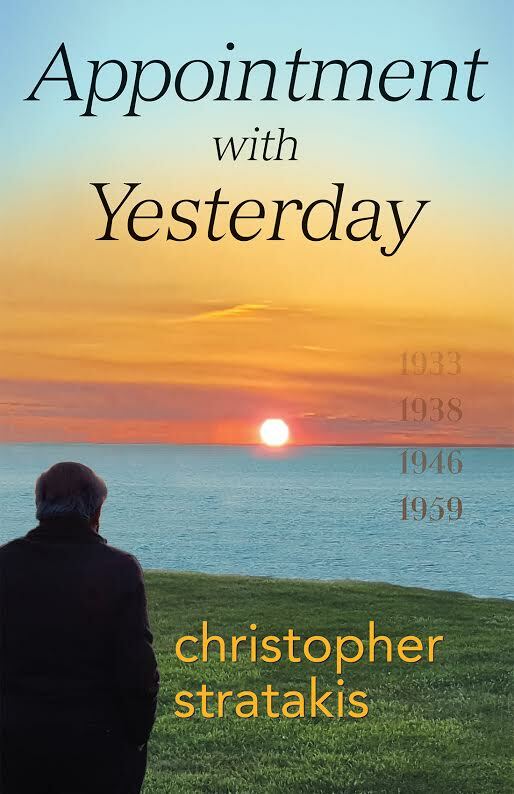 To read more reviews, please visit Christopher Stratakis' page on iRead Book Tours.